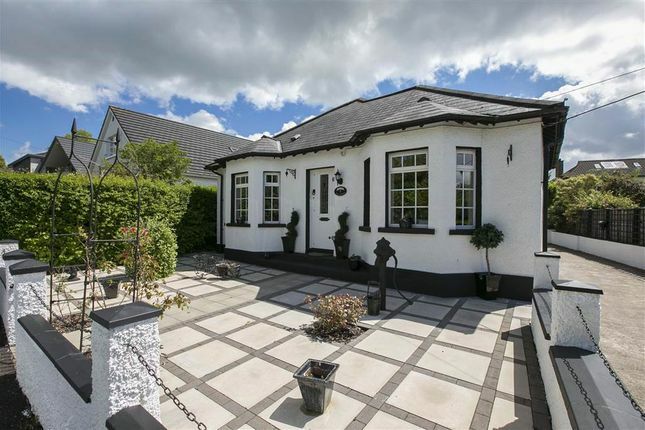 Situated just off the main A2 Belfast Bangor Road and within close proximity of the nearby train station, this appealing cottage style bungalow is a most deceptive and unique home. Substantially extended, the property incorporates four bedrooms and two reception rooms however, given the nature of the property, it could be utilised in a number of directions to suit individual needs. Externally the large studio/workshop may be ideal as a hobby room or perhaps for someone wishing to have a home office and furthermore it could be readily converted to give garage accommodation if desired. With the coast, beaches and beautiful walks a couple of minutes away, Holywood close by foot and Belfast easy by road or rail the positioning of this home is ideal, view without delay.